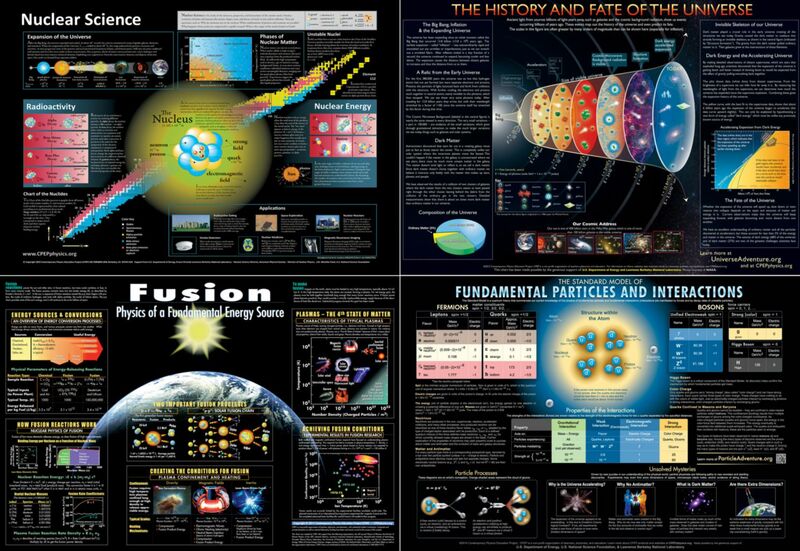 Visualize nuclear and particle physics with this set. The Contemporary Physics Education Project (CPEP) is a worldwide, nonprofit consortium of teachers, educators and physicists. CPEP-developed materials seek to disseminate current understanding of the fundamental nature of matter and energy, incorporating the major research findings of recent years. Four of their most popular and informative offerings have been combined into these all in one packages. Nuclear Science covers radioactivity, nuclear and stellar energy, antimatter and the Big Bang. 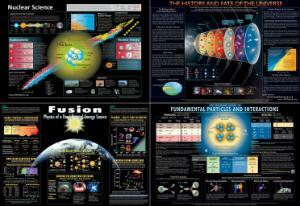 Fusion provides an overview of plasma physics and fusion energy. Fundamental Particles summarizes the work of quarks, neutrinos, Higgs Bosons and dark matter. History and Fate of the Universe summarizes the development of our universe and the factors that determine its fate. Set of four.